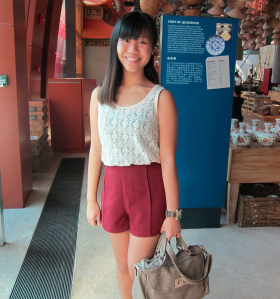 Bought this pair of shorts during the recent restock [yippe (: ]. Been reading a lot of good reviews on it. The material is thick, with no lining. 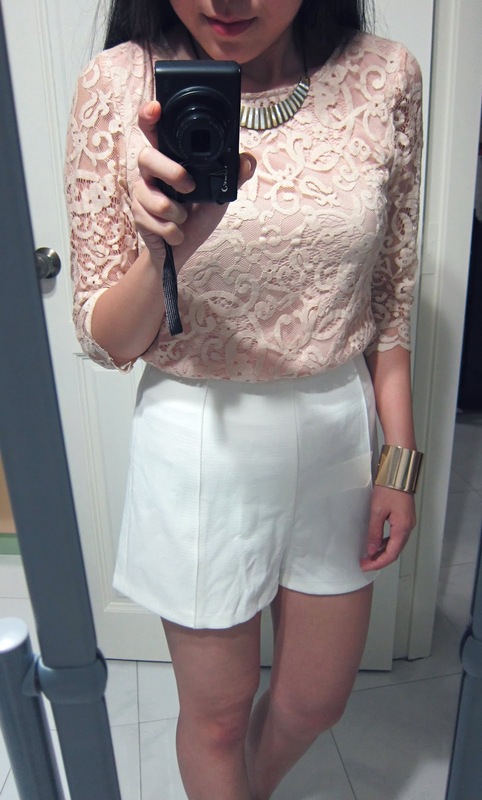 The shorts is not sheer at all. The colour is really nice. I feel that the thigh openings are a little too big but the shorts is really comfortable to wear so overall it's okay. Love the material- comfy and thick enough, plus the 2 lines on the shorts pretty much elongate my legs hahaha. It’s high waisted, fits me just nice with little allowance (can’t allow to get any fatter anymore!!!!) Doesn’t show VPL either. Nothing much to dislike!! Was contemplating getting Cobalt but on hindsight i’m glad i didn’t hahaha I have a feeling i’ll end up looking like an AC boy wearing his blue uniform shorts.